To celebrate Muv-Luv Alternative hitting Steam, let’s talk about the future of Tactical Surface Fighters. Namely, the 8th Generation Tactical Surface Fighter F-47 Ishkur. Needless to say, this be spoiler country. Ishkur is the Sumerian name for Hadad, the god of rain and thunderstorms of spring. A fitting name for mankind’s latest weapons against extraterrestrial threats: the BETA and their Silicon creators pose. While the previous generation of TSFs were defined in their G-Generators and system made possible through them; a decade of operation time without replenishment, TSF sized particle cannons and advanced Rutherford fields that could withhold Fortress-Laser Class’ barrage for fifteen minutes. 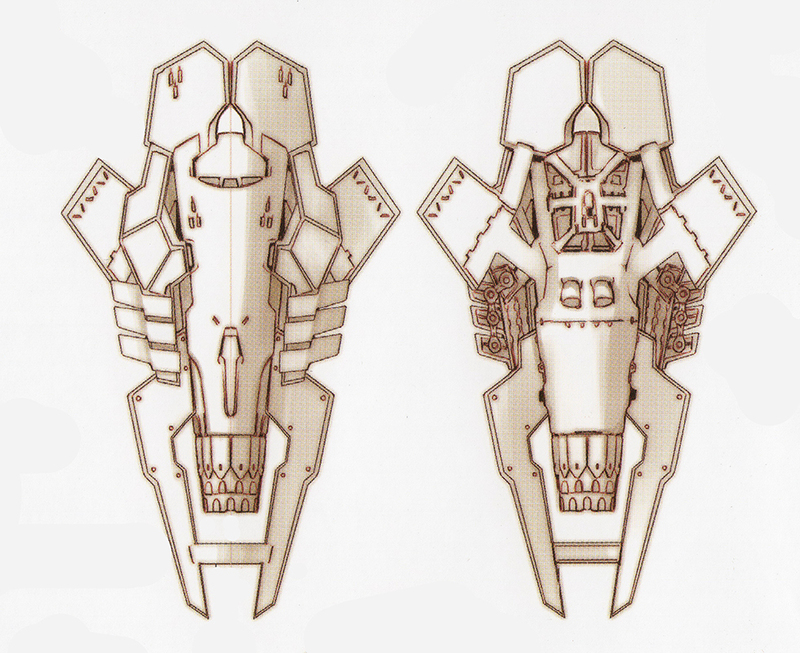 Tactical Surface Fighter development became stagnant after the introduction of the 7th Generation due to mankind-wide civil wars. With the global unification of 2043, a project to face the creators of BETA was launched a year later, with a need for the 8th Generation following in suit. Three years later, the F-47 would meet with abilities such mission would demand. The 8th Generation is redefines the role of a TSF to the point that it’s no longer “Surface;” Space is its main field of operation, but the F-47 has been designed to function from Zero-G to 3-G environments. Movement is attained by manipulating gravity, and as F-47’s main role is to function as an envoy to the space fleet aiming to contact the Siliconians, it boasts an impressive long-range particle cannon as its main weapon. Furthermore, the F-47 is able to engage in limited ranged warps and contains regenerating life-support systems, giving the unit ability for independent interstellar travel. The name Ishkur represents this aspect of F-47 being able to rain down storm and thunder on whomever the pilot chooses to strike. This rough design shows where we’re going. One thing that I didn’t include in the above description of the unit, is that Ishkur would be able to purge its damaged sections to continue to fight unhindered, at least according to Ishi Sho. Notice that the melee blade below is attached to the F-47’s right arm here, it’s not a lengthy cannon. While the F-47 Ishkur sounds overpowered, the mook it is from, exogularity 01, hints that BETA tactics have evolved as well. Despite this, it does carry more traditional weaponry. 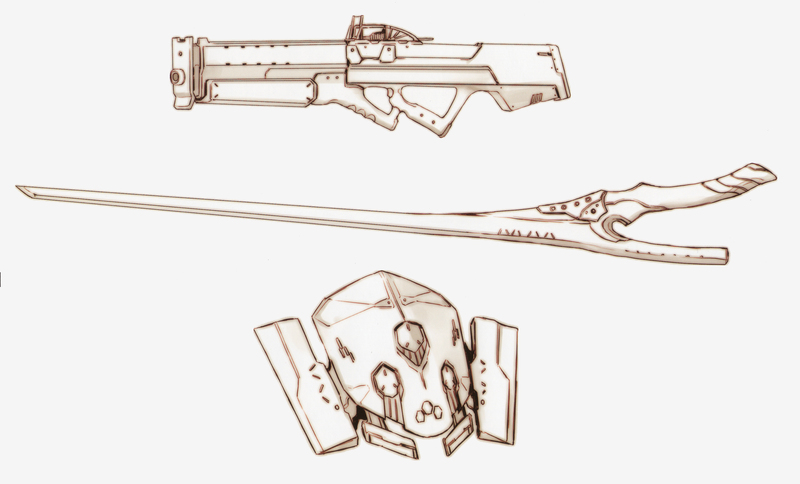 We can already see from these roughs that the two familiar weapons seem to be a mainstay still. The Assault Gun boasts rather functional design, probably to give emphasize how it has to function in variety of environments an interstellar mission might have. The Close Combat Sword we have here seems to have taken the handle idea from BWS-8 Flugelberte as it is arching to the wrong direction, but I’ll let that pass, as we’re talking about a giant robot and not a human hand. The lowest one is 8th Generation multi-purpose additional armour, a shield of sorts, though it is rather small for that function alone. It is missing from Strike Frontier render of the unit, and may have been dropped from the design for now. As the F-47 is a completely new design, not based on any existing aircraft, its Jump Units are based solely on Tactical Surface Fighters’ own design language. If you look too long at these, you may end up seeing a skull of sorts. That may just be me. To summarise all this, F-47 Ishkur is what Tactical Surface Fighter line would naturally evolve into when materials, sudden surge in advanced technology and necessity for interstellar warfare all come together. 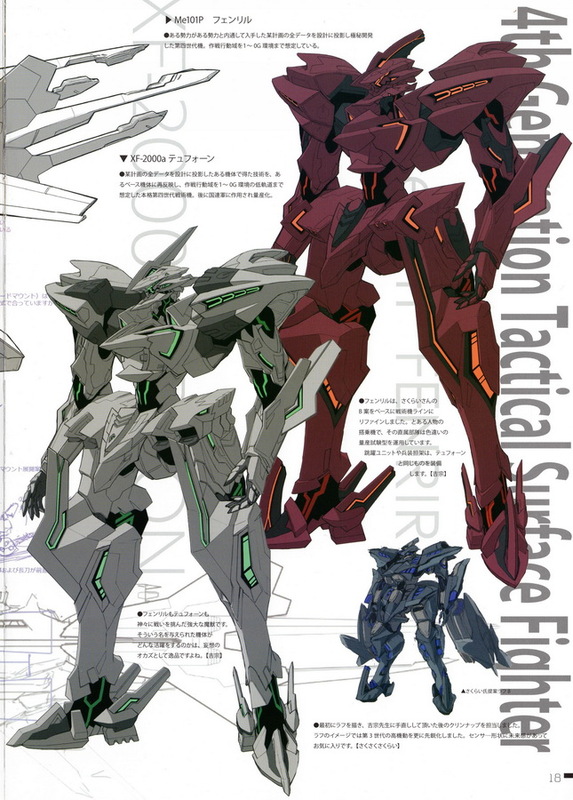 It was Yoshimune Koki himself who jokingly said that it’s not longer “Surface” and that TSFs have now entered the realm of Super Robots, but he isn’t half wrong. Perhaps calling F-47 Ishkur Tactical Space Fighter would be more appropriate, even when it could function on Earth-like bodies. Tactical Multi-Environmental Fighter doesn’t have the same ring to it. I’m not ready to agree that this mecha fits in the Super Robot category straight away. It certainly is a compact and hi-performance mecha all things considered, but in a world where technology is being combined with extraterrestrial material that allows bending dimensional barriers through the sheer power of love, I’m reminded of Third Clarke’s Law; Any sufficiently advanced technology is indistinguishable from magic. The design itself is combination of two things; the designer Ishi Sho’s own taste and view how the TSF line is to evolve, and cues from Mamoru Nagano’s Mortar Hedds from Five Star Stories. However, I would also argue that there is an influence from Tomohiro Shimoguchi’s illustration works, namely Linebarrels of Iron. Furthermore, some elements, like the shoulder armours, do remind of Gundam AGE‘s Vagan designs, thought this is probably just my eyes tricking me. 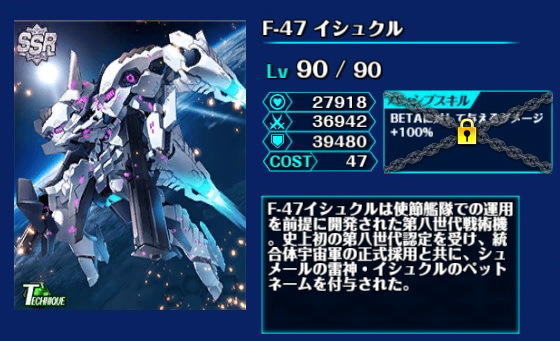 F-47 Ishkur is probably the first properly modern design in the franchise, as even the 4th TSF Generation still has visible vestiges of the early 2000’s mecha design. If I can be frank about my own view for a moment, Ishkur’s design does please the eye and probably does good to the franchise in that it is far removed from any real life fighter jet. 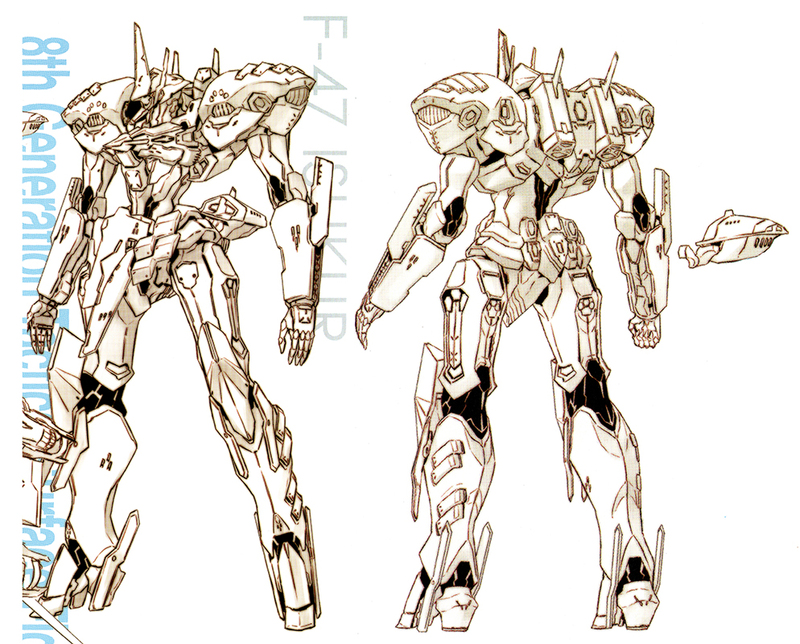 This mecha, Ishkur, represents what will probably be the future of the franchise, if it has the chance to go that far. Things have certainly changed, with âge now more or less servicing as the brand and front for ixtl, Avex Pictures acquiring ixtl itself and both Muv-Luv and Muv-Luv Alternative being officially released in English. However, with both Total Eclipse and Schwarzesmarken being largely failures all around, the staff at âge/ixtl are in a position very few people would wish to be in. Whatever comes next has to strike true. 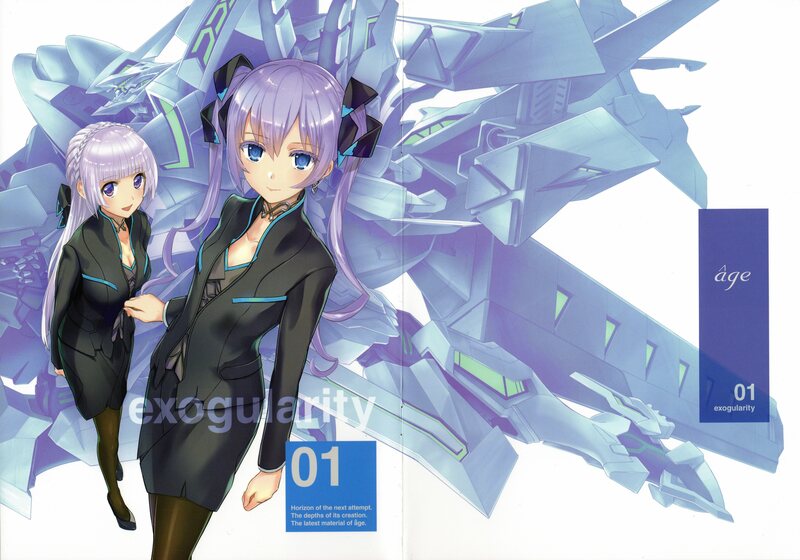 Of course, with Avex Pictures now being the upper management, an adaptation of Muv-Luv and Muv-Luv Alternative itself isn’t far too far-fetched. However, it would have to be an adaptation that would aim to expand the audience, something the core fans probably would not prefer. It would be necessary for the health of the franchise and companies involved. But for now, let’s enjoy what we have. Listen, The wind is still, And far away in the night — See! The uplands fill With a running light. Open the doors. It is warm; And where the sky was clear– Look! The head of a storm That marches here!